MagicISO is CD/DVD image utility that can extract, edit, create and burn ISO files. ISO file are images (duplicates) of complete CD/DVD disc. containing an exact binary copy of the original CDs. 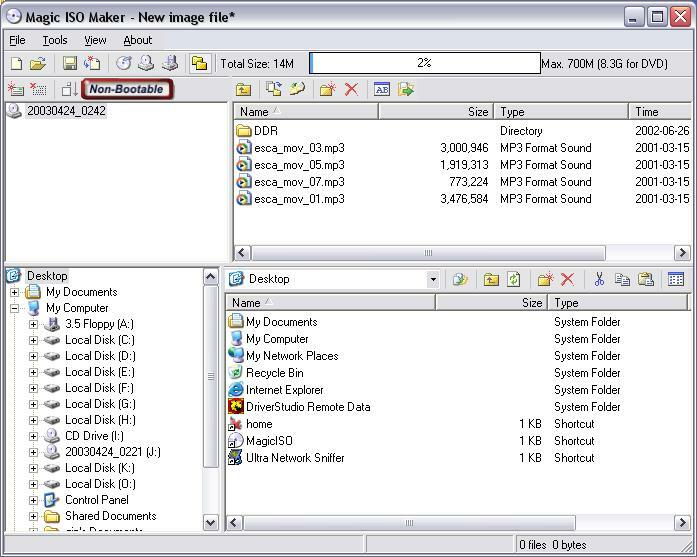 Usually, you have to burn an ISO file on a CD to extract its contents, but now you can simply open an ISO file in MagicISO. MagicISO can create ISO file from your CD/DVD driver. You can use ISO files for creating back ups of your CDs or restore your CDs by burning back up ISO files. Improved Apple DMG format support. Can open/convert/burn most DMG images including MAC OSX 10.5 Leopard. Support disk imagewith NTFS/EXT partitions.